Today, the Government has announced that they will be backing my Bill to make ‘upskirting’ a specific sexual offence. I’ve been working closely with the tenacious campaigner Gina Martin and her lawyer Ryan Whelan on the details of law reform with the Ministry of Justice – supported by hundreds of activists who have lobbied the relevant ministers for a change in the law on upskirting. I’m absolutely delighted that the Government has agreed to support her legislation to close any potential loopholes, in order to better protect victims and increase convictions. My bill will receive its 2nd reading in the House of Commons today (15th June). I got involved in politics to change things that my constituents and I care about. I am incredibly grateful to Gina Martin for starting this campaign, and for giving me the opportunity – in my first year in parliament – to do exactly that. The fact that the Government has listened to our calls is a testament to the widespread consensus that there was a gap in the law that needed to be addressed. By working with Gina and ministers on the detail of my Bill, we have demonstrated that when we work together successfully we can make a difference on issues that really matter to people. We all made the case for common sense. Now if someone is to fall victim to upskirting, the law will recognise them as the victim, and the police will be able to act immediately and bring the perpetrators to justice. With all the privacy notices flooding your inbox, you’ll know the UK Data Protection Act passed into law. If you want to know how to campaign, raise money, run your local party, AO or SAO within the law, go to https://libdems.org.uk/gdpr. We have added lots more information since the 25th May deadline, and there is more to come. Please help to keep the Party out of the ICO’s bad books by making sure that everything we do is GDPR compliant. And last night, their hard work was rewarded – we quadrupled our share of the vote and delivered a 19% swing against Labour – the largest swing against a Labour opposition since 1983. Our team focused on the issues that matter to the community – and that have been neglected by an overly confident Labour Party – and will continue to do so. This is the largest swing from Labour to the Liberal Democrats in over a decade – and the largest against a Labour opposition since 1983. Windrush citizens like myself have lived here for decades, working, raising families and making a positive contribution to British society. Our generation answered the call to help address the UK’s post-WW2 labour shortage, yet many of our children know nothing of that Windrush legacy. To celebrate the 70th Anniversary of Windrush, Liberal Democrats are calling for 22nd June to be recognised as ‘National Windrush Day’. Let’s give people from all ethnic backgrounds a reason to celebrate their unique identities, histories and rightful home in UK. The ‘hostile environment’ which led to the Windrush scandal must end. A National Windrush Day will serve to rebuild trust in migrant communities, protect migrants from scapegoating and give confidence that their voices are being heard. Meanwhile, Labour demonstrated yet again that they do not have the stomach to fight the Tories over Brexit. Amendment 19a would have given the people the final say on the Brexit deal. It would have given the people the power to decide if they want to stay in the E.U. once we see the terms of the exit. We could have pushed this to a vote if Labour had supported our motion. Instead Labour squirmed away from the key votes and were notably absent at the most crucial moment, despite 73% of their voters wanting the UK to stay in the E.U. If Corbyn is truly fighting for the many, not the few, why does the slogan not apply to his own voters? Jeremy’s heart just isn’t in this fight. The Liberal Democrats are the only party fighting to give the public the final say on the Brexit deal. Our message is clear: we are fighting to give the people the power to decide their future. This process started with the people, and the people deserve the last word on the terms of the Brexit deal, including a chance to stay in the E.U. We can stop Brexit, but we need people to join our campaign and make their voices heard. In news from Scotland, the Liberal Democrats have been instrumental in delivering new legislation that offers greater protection and powers to Scotland’s island communities. All too often, however, there is a one-size-fits-all approach to legislation and policy-making that takes no account of island needs or circumstances. In addition, the SNP’s obsession with centralisation has seen powers stripped away over the years. I am also pleased that, thanks to a Liberal Democrat amendment, not just future but also existing policy and legislation will now be subjected to a so-called ‘island proofing’ test. This can help address some of the existing problems caused by that one-size-fits-all approach, as well as hopefully reducing the risks in future. 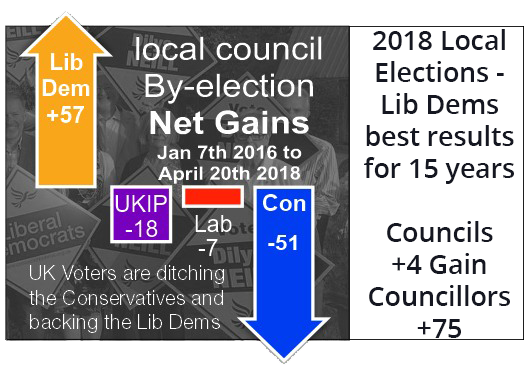 On May 4th, South Cambs Lib Dems stormed to victory in all up elections on new boundaries, winning 30 of the 45 seats. Previously we’d held just 14 out of 57 seats. Cllr Bridget Smith became the leader of South Cambridge District Council, and won the chance to put liberal politics into practice and make people’s lives better where she lives. It was a shock victory – though not to those of us who had spent the last couple of years working towards it. For me it had all started at my first party conference nearly 3 years ago. I was sitting in a room in Bournemouth, listening to Tim Pickstone (now Chief Executive of ALDC) explain how to pick a ward and win it. I realised that winning elections wasn’t about being a great politician, it was about working hard and being organised – and I could do that. But victories on this scale need a great team of people. Preferably people you really like, so that the hard work doesn’t feel like hard work but like spending time with friends. We already had some key people in place, but we needed more. So on returning from conference our first job was to speak to as many of our members as possible. Email is a great tool – but even the best written emails can’t replace personal contact. That’s why, over the next year we had hundreds of conversations with new members. I have to say that after June 2016 they did get a bit repetitive “Hi, I’m Mary. I’m calling to welcome you to the Liberal Democrats and ask why you joined? 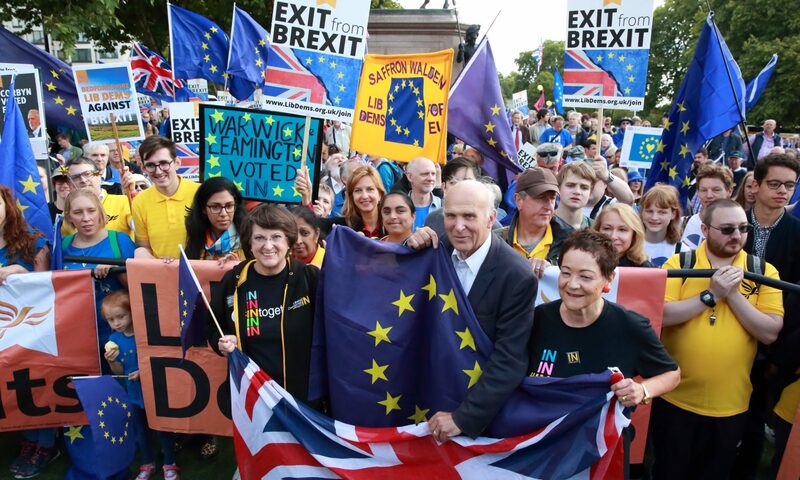 Oh Brexit, really, yes, it’s terrible, and yes we really must do something about it.” There were plenty of conversations that went nowhere – many of our members just want to pay us their annual membership fee. But there were also people who wanted to actually do something – which made it worthwhile. We used a Connect script to keep track of what people said they wanted to do and then made sure to follow them up within a few weeks. Some of our members came along to campaign meetings or delivered some leaflets. Some helped set up our social media and website. And some then became the local organisers in their wards, standing as candidates in the County elections and building their own teams of deliverers and canvassers. We still used email. 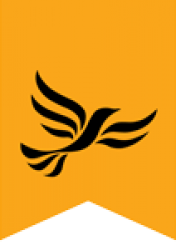 We sent out a fortnightly email informing members of canvassing sessions, #LibDemPints and policy talks. So once people were engaged, they had a clear path for getting more involved – even if sometimes that meant just six of us drinking coke and chatting in a rural pub. In 2017 we had County Elections. And we delivered more leaflets and spoke to more voters than ever before. But our campaign was derailed by the General Election. It polarised voters and meant we didn’t make the gains we’d hoped for. But we had our team. We may have been gutted at the count – but we there together, and we were determined to fight on together. This article is the first of four pieces. future articles will talk about how we targeted our canvassing, communicated our messages via leaflets and email and got out our voters. All essential parts of our victory. But we couldn’t have done any of that without having a brilliant team of people – and I wouldn’t have wanted to do it without them. Are you a local party officer who wants to build your team? Join the membership development facebook group athttps://www.facebook.com/groups/ldmembership/and see https://www.libdems.org.uk/memsec_testfor details of the roleof membership secretary and links to the technical solutions we have to make e job easier. Are you inspired to pick a ward and win where you live? Get in touch with your local party, join the Lib Dem Campaigners group on facebook or join ALDC for resources and best practice. Since the referendum, every time Jeremy Corbyn could have stood up to the Tories on Brexit, he’s sat on his hands. We can only stop Brexit with the Labour party’s votes. And the only way we get those votes is if they’re scared of a pro-European tide sweeping them away. This by-election is your opportunity to make a difference – and help stop Brexit. Lewisham voters are willing to lend us their vote in this by-election to make it clear to Jeremy Corbyn that this isn’t good enough. But unless he’s scared that remainers will stop voting Labour, he’ll continue to take Remain support for granted. “Scarcely a day goes by without a scandal erupting around greedy or bullying bosses, pilfered pension funds, business tax dodging, chaotic private train operators, rewards for failure, bankers’ bonuses, price gouging or exploitation of gig workers, zero hours contract employees or modern slaves. Although it does not explain everything, the financial crisis of a decade ago played an important part in puncturing the confidence generated by the collapse of Communism two decades earlier confidence that the capitalist model, the liberalisation of markets and the ‘animal spirits’ of entrepreneurs, could be relied upon to generate an ongoing, inexorable rise in living standards. This view was epitomised by Francis Fukuyama’s “End of History” thesis now the subject of universal mockery but taken very seriously at the time that liberal democracy and the market economy had conclusively and for all time settled the ideological debate.